My child is not a natural reader, so any chance I can find to get her interested in reading, I am all over it. Enter StarToaster.com, and their innovative and interactive online program/book Orphs of the Woodlands. We were honored to be chosen to review it for the last few weeks. As the readers are introduced to the story of Orphs of the Woodlands, they are allowed to "apply" for an unknown job that promises adventure. 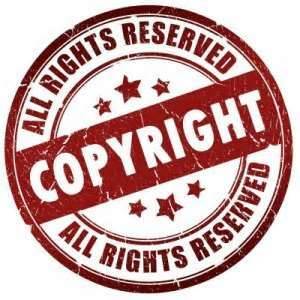 In this application, the students can create their own name for their character, and that name is then part of the story for the rest of the book. Can you see how your child would immediately would be drawn in? That main character then takes off on great adventure to save the Orphs of the Woodlands. My 6th grader named her character "Squirrel Booshy" (an inside joke and pet name for the newest member of our family). If your child enjoys medieval fiction, action, adventure, and mystery, they will really enjoy this style of writing. Good guys, bad guys, character development, and lots of surprises keep your child engaged and moving forward in the story. This is a complete electronic book, with 15 chapters sure to please the adventure-loving kid in your family. One of the very cool features of Orphs of the Woodlands:The Treasure of Hightower is the "hover" ability the reader has when they encounter a word that may be difficult for them. These select words are in brown and the reader can hover their mouse over that word to see the definition and part of speech. Interspersed among the hundreds of vocabulary words (great for preparation of standardized testing) are also sound bytes of different sound effects, fun activities, and even recipes for a fun distraction. At the end of each chapter, the reader will reach a "Help Wanted" section where all the jobs are performed. These jobs allow the reader to earn stars, which is used like currency to help care for all the orphans in their cottage. The interactive map allows the students to purchase more and more land around the original cottage, and the more they read, the more jobs they have access to. The more jobs they have access to, the more land, crops, food, medical supplies, etc., they can purchase for their orphans! These jobs include games and lessons in math, grammar, thinking skills, communication skills, memory skills, vocabulary, the arts, and science tasks and are meaty enough to please moms while short enough to please fidgety kids. I can't emphasize enough how much content is in this program! The students are introduced to so many different concepts from over 300 lessons as they read the wonderful story of The Treasure of Hightower! As a bonus, all of the progress your child makes can be viewed by via the Parent Section of the website, with your unique password. I encourage you to investigate this wonderfully interactive and unique approach to reading and learning, and I highly recommend this if your child loves doing lessons on the computer or tablet! 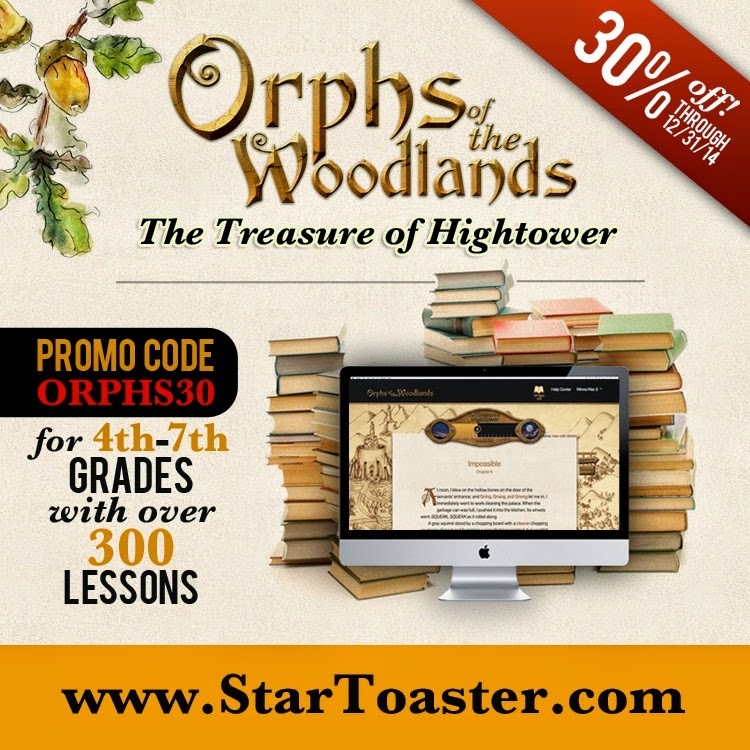 StarToaster's Orphs of the Woodlands is recommended for grades 4th - 7th, and is available for purchase in 60-day increments for $25.99. To purchase a 30-day extension, the additional cost is just $7.99. For a limited time only, however, subscriptions are 30% off, making each sub only $18.19 for the 60-day period! Just use promo code ORPHS30 between now and 12/31/14! Enter to Win a Free Subscription! Even cooler, the kind folks at StarToaster.com have allowed me to offer my readers and friends a chance to win a FREE subscription to Orphs of the Woodlands: The Treasure of Hightower! Entering to win is super easy---just follow the instructions below, a few easy clicks, and you're done! Contest ends Wednesday, 11/12/14, so don't delay! FCC Disclaimer: I received a 60-day subscription to StarToaster.com in exchange for my honest review of the program. No other compensation was received. The opinions and recommendations are my own. Follow me on Facebook or Twitter! Links can be found in the right sidebar on this blog! Dylan's favorite subject is history. Mary's favorite subject is language arts. Mal isn't middle school yet (4th), but he loves to read. He needs encouragement to start reading longer books though. Ok, I guess this thing doesn't like me. I'll try one last time to post a comment. I'm sorry if multiple comments show up! Zack's favorite subject is science.